Your bedroom is your sanctuary to escape daily life, and should be a relaxed, serene space for you to unwind. At Burlanes, our design team offers a bespoke bedroom design service, working with you every step of the way to ensure your dream space becomes a reality. 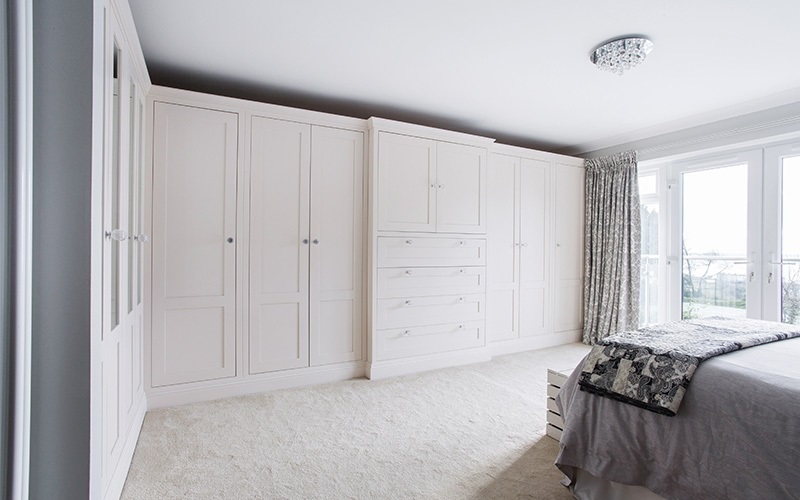 From handmade fitted wardrobes, custom made shoe cupboards to made-to-measure bedside tables; we can design and create beautiful bespoke pieces of furniture to maximise all available space. Whether you are wanting a boutique hotel style boudoir, or a classic country style bedroom, Burlanes can create your dream room. Each and every single piece of bedroom furniture that we design, create and install is handmade in our own workshop in historic Rochester, Kent. 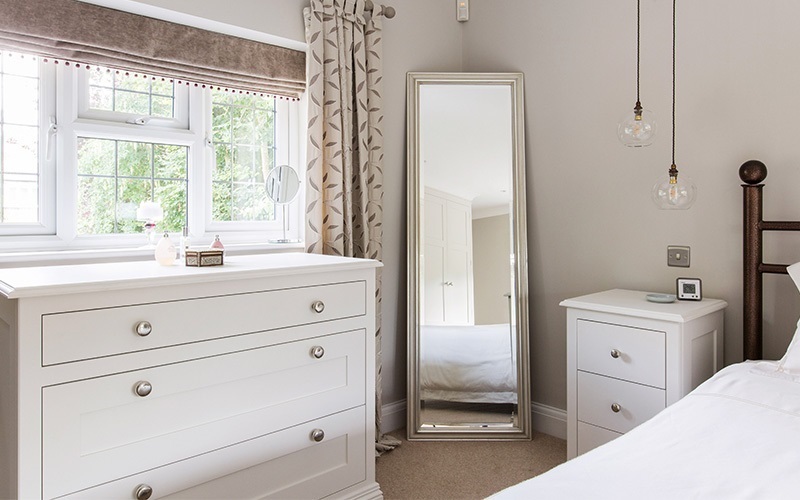 We are the leading bedroom specialist in the South East; we are passionate about attention to detail and always ensure hassle free installation. For inspiration, or to chat with our design team, pop into one of our showrooms to discuss your dream space. We have bedroom furniture and wardrobes on display in both Burlanes Sevenoaks and Burlanes Chelmsford. We work with budgets from £7,000 (not including installation).